Bruno S. Sergi is an Instructor at Harvard University, an Associate of the Harvard University Davis Center for Russian and Eurasian Studies and Harvard Ukrainian Research Institute. He is the Academic Series Editor of the Cambridge Elements in the Economics of Emerging Markets (Cambridge University Press), a co-editor of the Lab for Entrepreneurship and Development book series (Emerald Publishing), and associate editor of The American Economist. Concurrently, he teaches International Economics at the University of Messina and is a co-founder and Scientific Director of the International Center for Emerging Markets Research at RUDN University in Moscow. 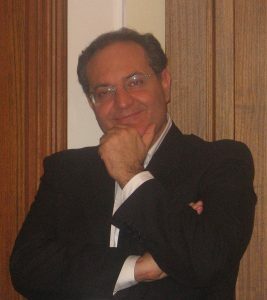 He has published over 150 articles in professional journals and twenty-one books as author, co-author, editor, and co-editor. Sergi’s extensive academic career and advisory roles with the leading international institutions have set up him as a frequent guest and a commentator on the matters of contemporary developments in the political economy of emerging markets in a wide range of media. He has been reviewed in a broad spectrum of scholarly journals such as Comparative Economic Studies; European Journal of Development Research; Global Finance Journal; International Labour Review; International Journal of Production Research; Journal of Economic Issues; Journal of Higher Education Policy and Management; Journal of Management Development; Journal of Post Keynesian Economics; Management Decision; Technology Analysis & Strategic Management; Thunderbird International Business Review. He is the founder and Editor-in-Chief of International Journal of Trade and Global Markets, International Journal of Economic Policy in Emerging Economies, and International Journal of Monetary Economics and Finance. He holds a Ph.D. in economics from the University of Greenwich Business School – London.